The A1 may well be the smallest and most affordable car in Audi's range, but that doesn't mean it hasn't got attitude. Gone are those slightly mundane looks of the previous car. Instead, you get a car that Audi proudly claims is inspired by Motorsport. More specifically, they mean the legendary Sport Quattro from the '80s. Now I'm not entirely sure that connection is going to do much to sway your typical super mini buyers, but you know, it does have some quite nice design touches thanks to the inspiration. Audi saying that's translated into features like the short overhangs, blistered wheel arches, a strong and angular C-pillar, and the three slots above the grill, which all give it a sportier look. But if we put the Audi hyperbole to one side for one moment, what that basically means is that this car is now longer, it's lower, and it's wider, and we have to say it looks great! Step inside and the new A1 is a world away from the desperately dated old one. It's taken inspiration from the luxurious A6 and A8 and it seems wider and more spacious than it really is, thanks to all those horizontal surfaces inspired by the Quattro. The entry level SE gets LED front and rear lights with sweeping indicators, 15-inch alloys and safety kit including pedestrian and cyclist recognition, a speed limiter, along with lane departure warning. Unlike the dual screens that you find in the Audi A6 and the A8, in the A1, you just have one central entertainment screen which is really well positioned in the driver's eye line. It comes in a choice of two screens, depending on which model you go for, and if you do go for the technology pack, you get the larger screen, but you also get a wireless charging pad and something that I like a lot; Audi's virtual cockpit. You can flick through the menu options from the lovely steering wheel that just like all Audi steering wheels, feels nice and substantial and solid; it makes you want to drive the car. There are now physical climate control buttons, which makes life so much easier when you're on the move. There are now a myriad of ways to colour code your car and you can get lovely, vibrant matching interior trim if that?s something that is important to you. Audi have let their colour and trim department go to town, and there's a really interesting array of fabrics to choose from. In fact, if you mix up the interior, the exterior, the wheel and the roof colour combinations, you can personalise your A1 to whatever takes your fancy. With the new A1, Audi have laid down the gauntlet to other car makers who have models in the super mini class. The question is, will Audi win the fight? Overall we think the A1 is a good car and the latest model is a vast improvement on the previous version. If you are a fan of the A1 you may want to take a look at the VW Polo as well. 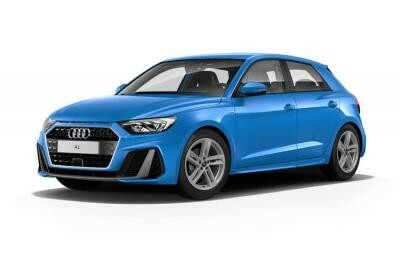 View our latest Audi A1 leasing options below or use the filters to refine your results. Here are some common questions you may have when deciding to lease a new Audi A1 car. If you can't find the answer to your question below, please view our FAQ page or contact us on 0161 440 7272. Are all of your Audi A1 cars brand new? Yes, all of our Audi A1 cars are brand new and are either supplied directly from Audi or one of our trusted partners from around the UK.